Lockheed Martin selected Raytheon to develop and deliver the next generation Distributed Aperture System (DAS) for the F-35 fighter jet. The result of a Lockheed Martin-led competition, the selection will enhance capability and reduce cost. The F-35’s DAS collects and sends high resolution, real-time imagery to the pilot’s helmet from six infrared cameras mounted around the aircraft, allowing pilots to see the environment around them - day or night. With the ability to detect and track threats from any angle, the F-35 DAS gives pilots unprecedented situational awareness of the battlespace. “We are aggressively pursuing cost reduction across the F-35 enterprise and this initiative is a clear demonstration of our unrelenting commitment to reduce costs and deliver transformational capabilities for the warfighter,” he added. “Raytheon’s solution delivers next generation capability for the fifth generation F-35. Our focus is on providing pilots every tactical advantage imaginable while ensuring taxpayers receive the best value possible,” said Roy Azevedo, Vice President of Intelligence, Surveillance and Reconnaissance Systems at Raytheon Space and Airborne Systems. 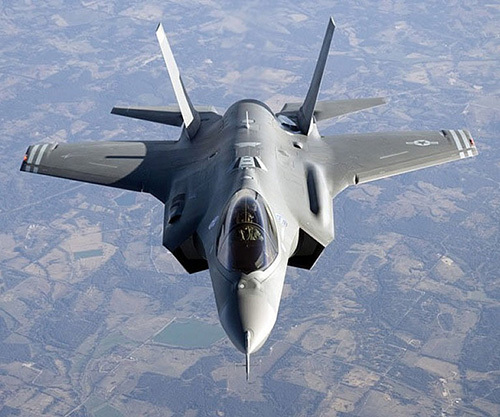 With stealth technology, advanced sensors, weapons capacity and range, the F-35 is the most lethal, survivable and connected fighter aircraft ever built. More than a fighter jet, the F-35's ability to collect, analyze and share data is a powerful force multiplier enhancing all airborne, surface and ground-based assets in the battlespace and enabling men and women in uniform to execute their mission and come home safe.